Have you ever thought about sailing to the Mediterranean but the round trip sounds less inviting? Or perhaps you want to try your luck in an international fishing competition but don’t have time to sail there and back? 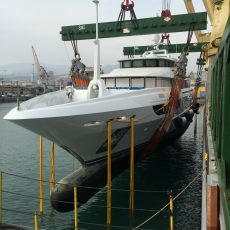 In the past 10 to 15 years, global yacht shipping has grown to become not just a tactical navy move or a way to get a fleet of America’s Cup hopefuls half way round the world, it is now accessible to everyone from celebrities to retirees. For people like Robert Jones, who lives with his family on Mitchells Island on the Mid North Coast, it’s a way of life. Having grown up in Pittwater and starting to sail before he can remember, Robert has been involved in yacht shipping as a Loadmaster/Cargo Superintendent for the past 10 years. 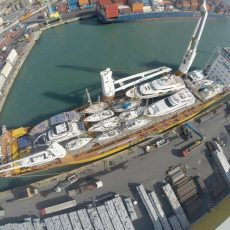 Joining Dutch Sevenstar Yacht Transport before it expanded into one of the world’s leading yacht shipping companies, he lived in Amsterdam for seven years while travelling the world to ensure precious boats were loaded safely onto cargo ships. Not just yachts, they are superyachts, commercial boats, tug boats, ferries, catamarans, navy vessels, competition vessels – any boat where mobility is an issue. In other cases, boats are loaded onto ships to avoid a cyclone. Robert has also been involved in the design and drawing of lift rigs and cradling systems necessary to lift, load and secure boats, which are significantly more delicate than general cargo. Boats can be loaded onto ships in ports or at anchorages in more remote destinations. Aside from the work of loading, there are customs regulations and documents to be lodged, as well as stevedores and ship’s crew to coordinate and brief. “For a time my father worked as a professional yachtsman, sometimes delivering boats, so I guess it’s in my blood,” says Robert. Robert now works as a contractor and has cut back on his workload, but still takes more than 50 flights for work each year. With only about 20 Loadmasters around the world, and demand for yacht shipping increasing, work remains buoyant. Sometimes Robert will stay on the ship if it’s faster than flying to the next destination, or because of visas or conflict between countries. In some cases yacht crew will travel with the ship too – for example, to care for precious artworks or thousands of dollars of frozen bait – or clients will travel with their boat if they have no other transportation. Robert says it’s a lot more affordable than you’d think. When Robert isn’t flying around the world or working on ships, he’s restoring a 120 year-old homestead he bought last year. 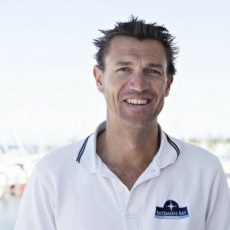 Daimon Martin has taken on a new role overseeing both Batemans Bay Marina and Port Macquarie Marina, with our wonderful Marina Assistants ready to help our boat owners, guests and tenants with everything they need on-site. Daimon will be visiting the two marinas on a regular basis, and can be reached on his mobile 0448 094 285 for urgent matters. NSW Roads and Maritime (RMS) has released concept designs for the planned replacement for Batemans Bay Bridge. The bridge as planned will have a fixed clearance of 12 metres. The current bridge has a clearance of 3.6 metres when the bridge is closed and 22.8 metres when the span is fully raised. The high voltage wires across the river upstream of the bridge have a minimum clearance of 15 metres in the middle of the river, but several metres higher on either side. 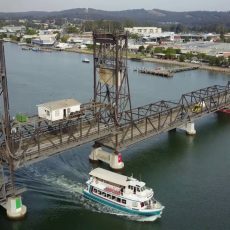 Batemans Bay Sailing Club was active in raising concerns over upriver access for masted vessels during the initial RMS public consultation phase, seeking a minimum clearance of 16 metres, which would fit within the design and cost parameters of the bridge proposal. A clearance of 12 metres would cut off access to the safe anchorages and magnificent cruising area of the Clyde River for all masted vessels over about 9 metres in length. This would include most visiting cruising yachts. 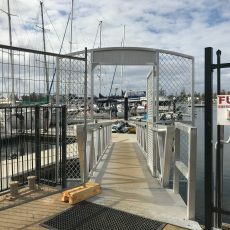 Port Macquarie Marina has had some significant upgrades, with seven new offices – one of which will be the new home of Port Macquarie Game Fishing Club – and a new slipway and hardstand area. On the roof of the new office space, locals will notice solar panels have been installed. The solar panels will contribute to the power requirements of the marina. Solar power is an important part of improving sustainability and reducing environmental impact, and will bring Port Macquarie Marina into line with sister site Batemans Bay Marina. Other measures are planned for the future, with a view towards seeking environmental accreditation with the Marina Industries Association. Whale watching season has just kicked off so keep an eye out for them the next time you’re out on the water. 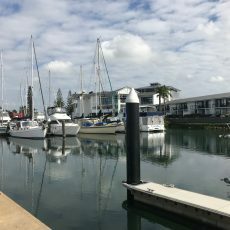 Port Macquarie Marina has been completely repositioned, with new Bellingham berths, new retail areas and new surfaces throughout – and is now offering a five year lease of its slipway and hardstand. The fully-fenced area includes 1000 sqm of concrete hardstand and a 30 tonne cradle which services 80 permanent berths along with many transients. The five-year lease would include access to newly renovated marina amenities and will give tenants excellent exposure and opportunities. Please direct Expressions of Interest to James Finney jamesf@marprop.com.au or 0414 498 600 by 28 June 2018. Have you ever considered letting your boat for Airbnb-style short-term accommodation? 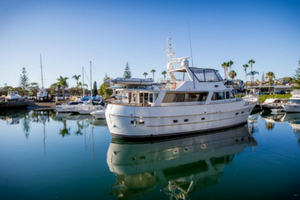 A draft exemption (exemption 27) could see existing regulations relaxed, making it easier to rent out your boat while berthed at a marina and recoup some of the expenses of owning it. Currently under Australian law it is not illegal to let your boat, however, it means your boat’s status changes from recreational to commercial. The proposed changes would avoid this hassle. Airbnb-style letting of boats is already happening overseas. To have your say on the Marine Safety (Short term marina accommodation) Exemption 2018 you can complete a public comment form online. Feedback must be received by 25 June 2018. Find out more at the Australian Maritime Safety Authority website or read this ABC news story. 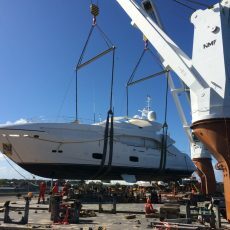 More Australians than ever before are buying superyachts to start private business charter companies – and with wealthy families paying up to $25,000 to charter superyachts instead of taking luxury overseas holidays, it makes good financial sense to maximise chartering opportunities throughout the year. Find out more in this Gold Coast Bulletin story. The US Boating Industry magazine has released its 50 top products for 2018. They include new and updated products and services for the boating industry, ranging from engines to accessories and apps. Find out which products made the cut here. 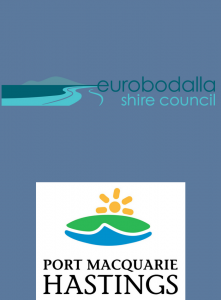 Eurobodalla Shire Council invites members of the community to give feedback on its proposed Rural Lands Strategy. The Rural Lands Planning Proposal is on public exhibition until 22 June 2018. Submissions close at 4pm on 22 June 2018. For information about the proposal and how to provide feedback, click here. Port Macquarie-Hastings Council encourages locals to report pollution incidents to the council or Environmental Protection Authority. If you’re out on the water and notice someone conducting illegal dumping or other potentially harmful activity, you can contact the council on 6581 8111 during business hours, or 6583 2225 after hours. For more information, click here. 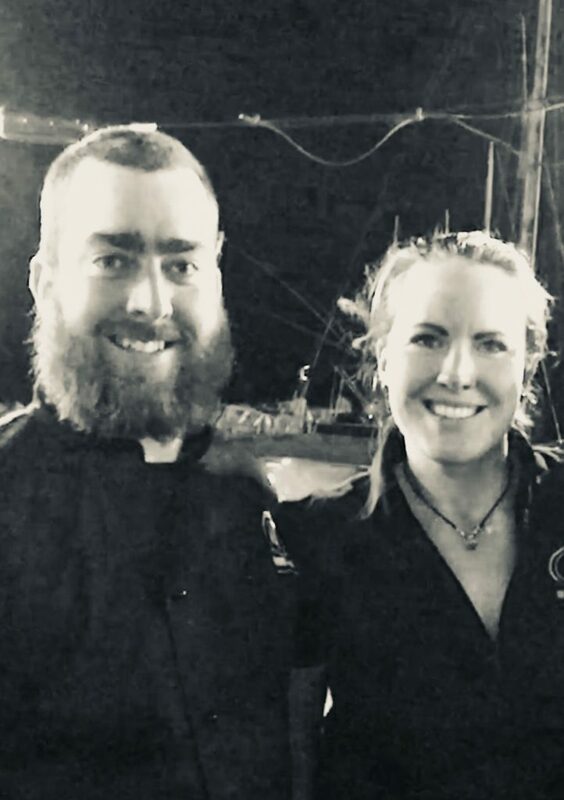 Evelyn Crooke (pictured with her brother Jacob) was enticed back home when three of her brothers (Jacob, Daniel and David) invited her to help start a family restaurant business – JJs @ the Moorings in Tomakin and JJs @ the Marina in Batemans Bay. Opening just two weeks before Christmas in 2015, the restaurants have proved formidable in the culinary stakes and a favourite of locals (including boaties at the marina). Evelyn runs the marketing, event management and HR side of the business, Daniel manages the Tomakin restaurant, and Jacob is Head Chef-Seafood Monger and Manager of both sites. 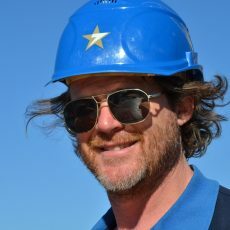 David, a partner in the business, is a builder and carpentry artist who helped design and build the marina restaurant – including most of the furniture. Along with Daniel (who is also creative, they’re a talented family) he expanded the Tomakin site, opening the back and building a fabulous deck for al fresco dining. Evelyn says they were inspired to bring something cosmopolitan to the Bay, drawing upon experiences working at five-star restaurants and hotels, and steeped in family tradition. “Our Hungarian-born grandfather Geza Slezak was a chef who cooked for the Queen of England at Parliament House,” she said. The Crooke children are born and bred in the Bay. Evelyn says many of them have left for periods of time, but they always come back. The restaurants are all about fresh local seafood, quality regional produce, and seasonal menus. Opting to manage their own seafood, it is prepped at their own fresh fish shop. They are also committed to enhancing community spirit, with events such as Live Music Fridays, Market Nights and Degustation Nights. Always evolving, Evelyn and her brothers recently opened The Shack at the marina for casual outdoor dining, and are now setting up a local fishmonger there as well. JJs @ the Marina is open Tuesday-Sunday 8am-late and Mondays 8am-3pm. The Shack/Fishmonger is open 8am-4pm. For bookings call 02 4472 4499. Peter Carr from Airlie Beach has had an interesting career path. Previously an electrician, a buffalo hunter in Arnhem Land and a commando in the Royal Australian Air Force, he finally found his passion in sailing. “I just kept searching for what would satisfy me and I found that being a captain on a ship and looking after people’s lives at sea is what I love to do,” he said. Peter has now been a Skipper for 20 years, having worked in the Mediterranean, the Bahamas, the Whitsundays and in Victoria. Currently a Delivery Skipper and Ocean Yachtmaster, he has regular work along the east coast bringing yachts to their new owners. 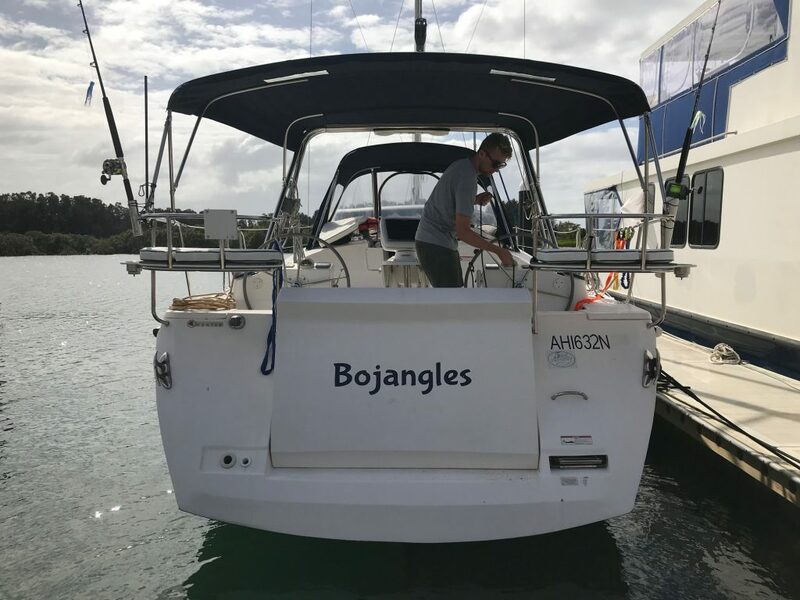 Recently he was taking Bojangles – a 12-metre Hunter – from Sydney to the Whitsundays, along with crew member Sam Clarke, when the team from Port Macquarie Marina stepped in to lend a helping hand. “About eight hours out of Sydney we had favourable winds so I turned off the engine and we sailed beautifully for the next six hours. 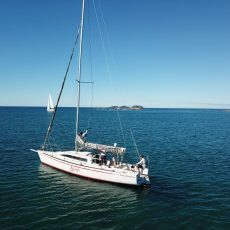 Ten miles off Port Stephens – a dangerous area for sailors – the winds died off so I turned on the engine and put it in gear, but it was clear there was an issue. 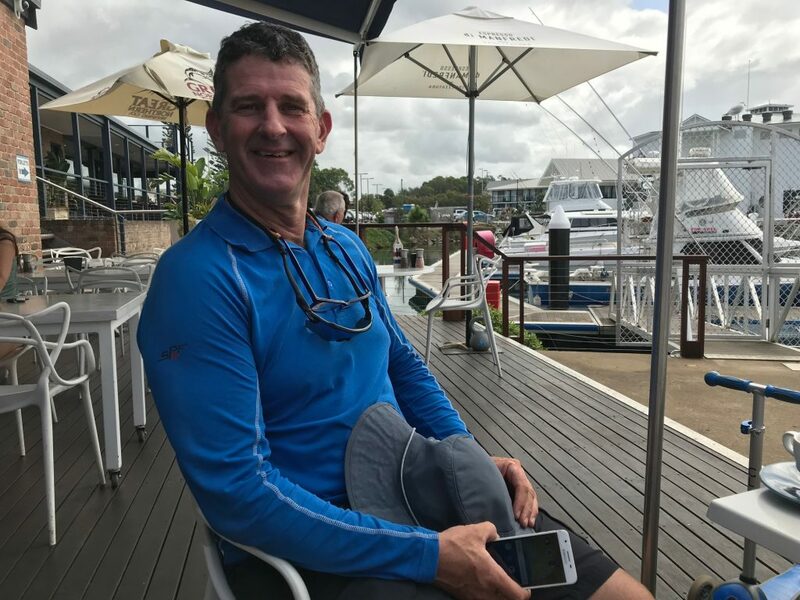 “The weather began to deteriorate, with winds of about 25 knots and a two-metre swell, so I called Port Macquarie Marina and spoke with Daimon who got in touch with Peter the onsite mechanic and Marine Rescue. “Everything worked like clockwork, the Marine Rescue boat hooked me up and we were pulled safely across the bar. When we arrived at the entrance to the marina there were four or five people waiting to help with the boat and catch the lines. In the end it was Bojangles’ propeller that had fallen off – a rare event – but a yacht isn’t going anywhere without it. As for Peter, he is still living the dream. Batemans Bay Antiques and Collectibles Fair offers a wide variety of antiques and collectibles from a large number of Australian dealers. Valuations will also be available . Blue Water Ball at Narooma is a fantastic night of music, dinner and dance to support Marine Rescue. South Coast Veterans Week of Golf is held over three beautiful south coast golf courses (Batemans Bay, Moruya, Tuross Head). Players can register for single days or all five days of golf. Hastings Landcare Farm Gate Tour offers a unique opportunity to visit 12 properties not usually open to the public. The Artist Market is a monthly event showcasing works by local artisans and artists, held in the grounds of The Maritime Museum at Port Macquarie. Mid North Coast Caravan, Camping, 4WD, Fish and Boat Show – the mid north coast’s number one outdoor enthusiast’s event.